Fuel Quality and Customs Services Department does fuel testing, carries out yearly national fuel monitoring, and provides chemical analysis and determination of physical characteristics of all foods, and customs lab services under a contract with Estonian Tax and Customs Board. 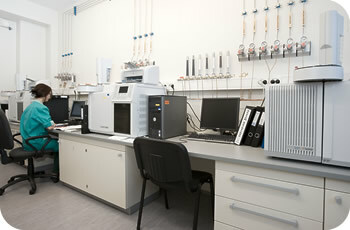 The EKUK Fuel Lab at its current location at Suur-Sõjamäe 34 was opened in August 2006. 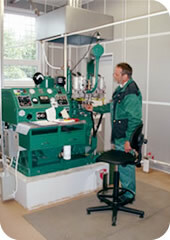 It is one of the most state-of-the-art fuel labs in Nordic countries. The primary clients of the lab are national fuel monitoring institutions (like Tax and Customs Board, Environmental Inspectorate and Consumer Protection Board), but we also provide services to other organisations, enterprises and private persons. The lab provides all liquid fuel analyses on gasoline (EVS-EN 228), diesel fuel (EVS-EN 590), biodiesel fuel (EVS-EN 14214) and ethanol-based fuels (for instance E85). At the order of the Ministry of the Environment, the Fuel Quality Bureau carries out yearly national fuel monitoring according to the European monitoring standard EN 14274, and prepares fuel quality report documentation for the Ministry of the Environment. European Commission has specified fuel quality standards and by Directives 98/70/EC and 2003/17/EC requires Member States to test fuels and to provide proper statistical reports. The Fuel Quality Bureau, in cooperation with Quality Assurance, Environmental, Health and Safety Department, provides fuel conformity assessment and certifies batches of liquid fuels. The primary activity of Customs Services Bureau is providing services for Tax and Customs Board. The primary client of the food lab is Tax and Customs Board, but we also provide services to other organisations, enterprises and private persons. 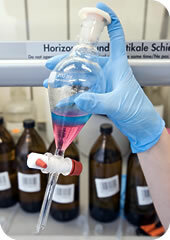 The food lab provides chemical analysis and determination of physical characteristics of all foods (e.g. milk and meat products, alcoholic beverages, confectionery, sweets etc).